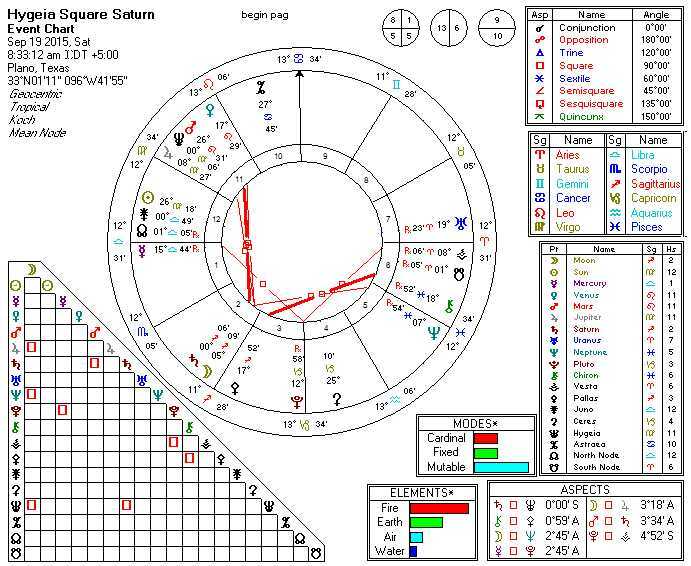 If you think people were irritable with Mercury square Pluto yesterday, consider that Mars square Saturn perfects today (9/26 for UK/EU). Grant Lewi wrote at length about the presence of this in Adolph Hitler’s birth chart. Do not be surprised to find yourself running into some kind of Nazi’s, even if they are just Soup Nazi’s. Tara Greene also wrote an interesting piece on this. We have seen this pattern recently, but it does not occur often. Interlaced triangular 5th Harmonic aspects (quintile and biquintile) appear to form a 5th Harmonic version of the Star of David. We think that this fall will be a period conducive to the development of creative works. 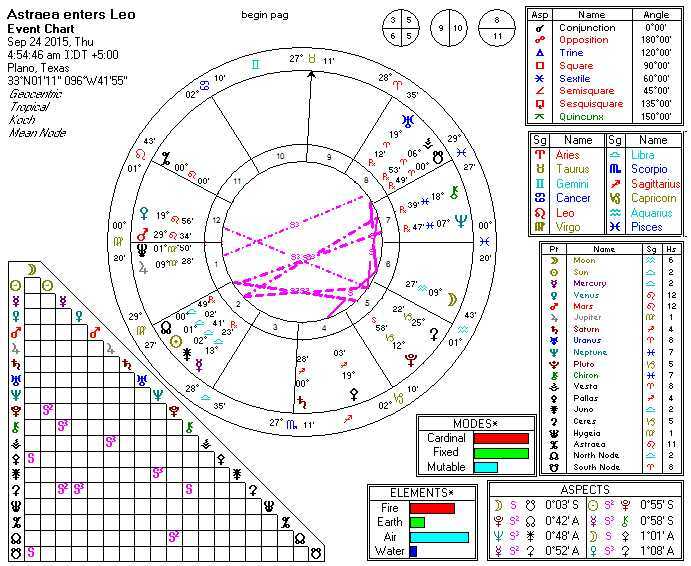 September 22, 2015 at 7:15 pm | Posted in 2015, Astrology, Predictions | Comments Off on * VENUS in LEO in Fiery Trine with URANUS retro in AR (Sept 22) :: Set Yourself Free. 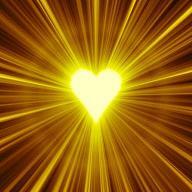 Set Your Heart on Fire! Normally, we do not pay attention to these “minor aspects” (except 5th Harmonic and 7th Harmonic), but this pattern does stand out, especially occurring so soon after today’s eclipse. 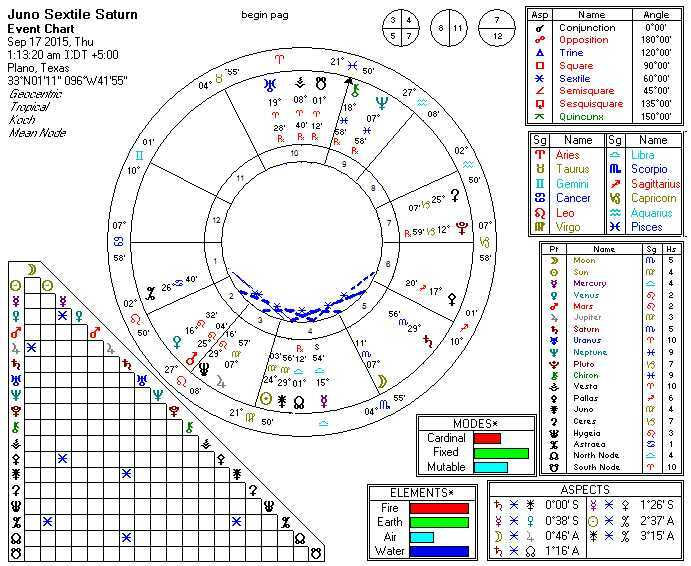 The Novile is the 40 degree aspect and results from dividing the circle (of the Zodiac) into nine equal parts. Uranus and Neptune are currently Novile (and will be for some time). 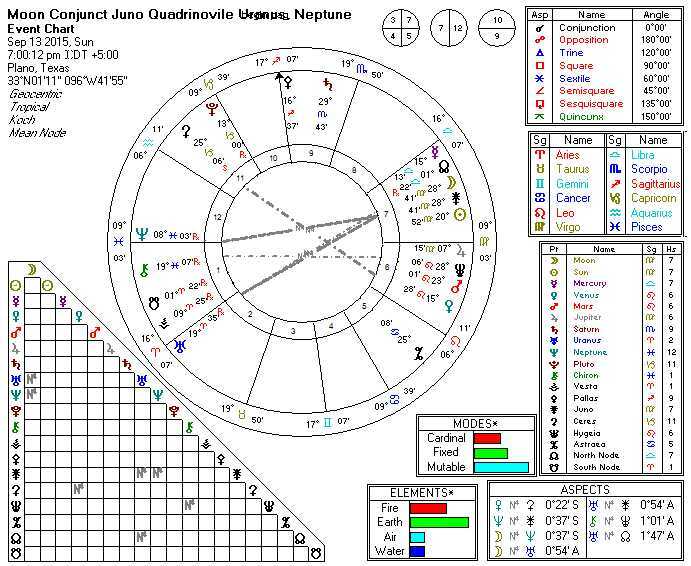 Today, when the Moon (the basic self and all things feminine) conjoins Juno (wife, sister, and sense of trust versus betrayal), both of them together will be QuadriNovile (160 degrees) from BOTH Uranus and Neptune. This creates a configuration similar to a Yod indicating a decision to be made involving very subtle (and likely very advanced) talents. This probably only affects highly creative or highly sensitive people, but it does indicate a critically important window of opportunity for such people. While this will last a few hours this evening, it is strongest about 7 PM CDT (adjust for your timezone, please). While for the Eastern half of the U.S. as well as the U.K. and Europe this happens on September 17th, on the West Coast it is late on September 16th. 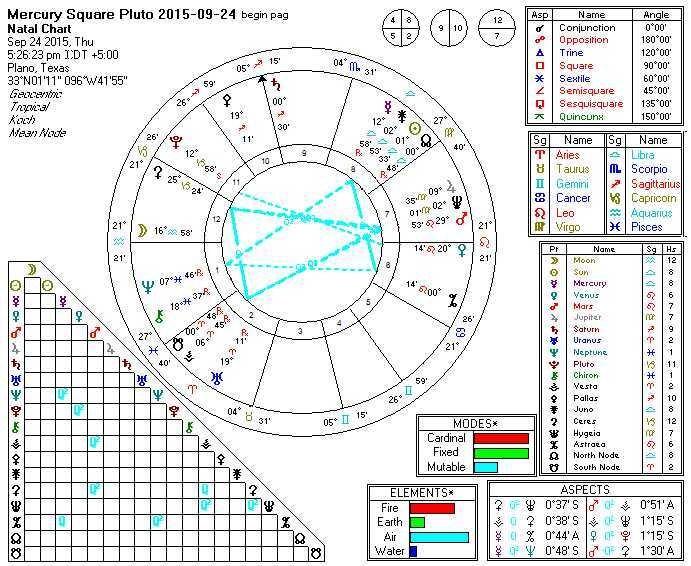 On this same day, Jupiter opposes Neptune and Mercury stations Retrograde. 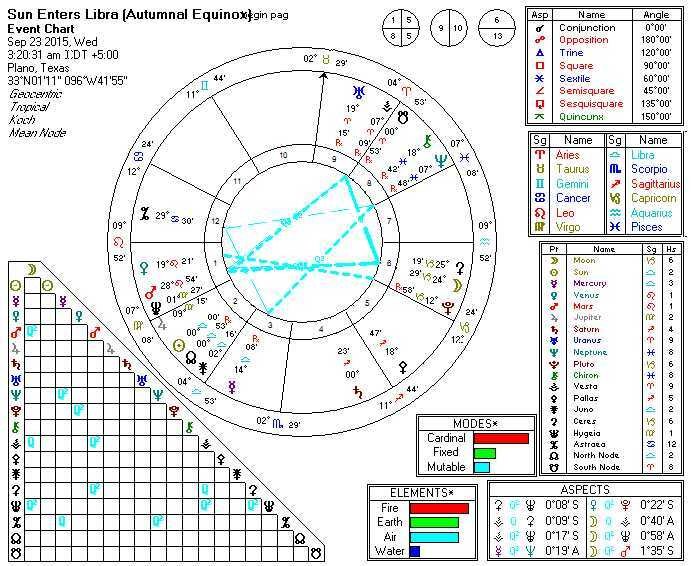 It is the last noteworthy aspect before Juno enters Libra and Saturn enters Sagittarius. It is a parting comment from each planet to all of us about Virgo issues (health, health, money management, budgets, bookkeeping, accounting, maintaining an orderly environment and work, work, work) and Scorpio issues (birth, death, re-birth, taxes, police, intelligence agencies, poisons, assassinations, secrets, and “other peoples money”). Arguably most of us in the Western Hemisphere will feel this primarily on September 16th. If you are making a “big push” on an important project, consider making certain you can do as much as possible on September 16th to “take care of business.” And, prepare for a big shift in the direction for many of us individually and all of us collectively. 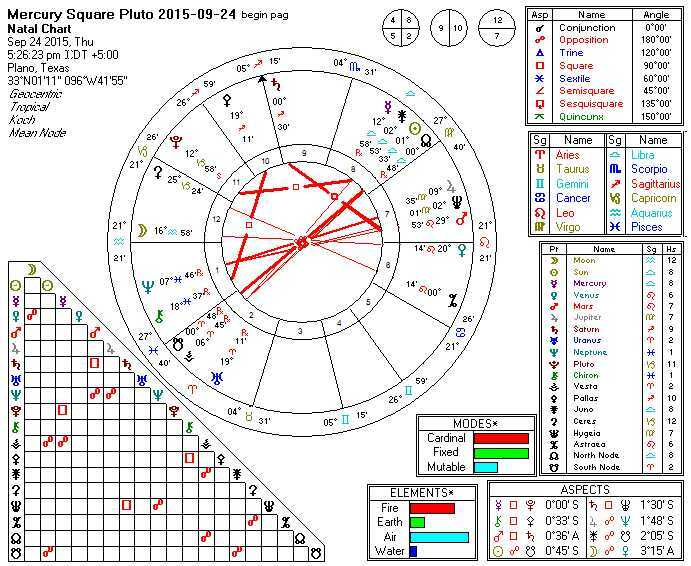 See, also: North Node / Juno sextile Saturn. This is a popular topic. Saturn, the planet of tests, trials, and tribulations, is the “planet of good luck” for astrologers. 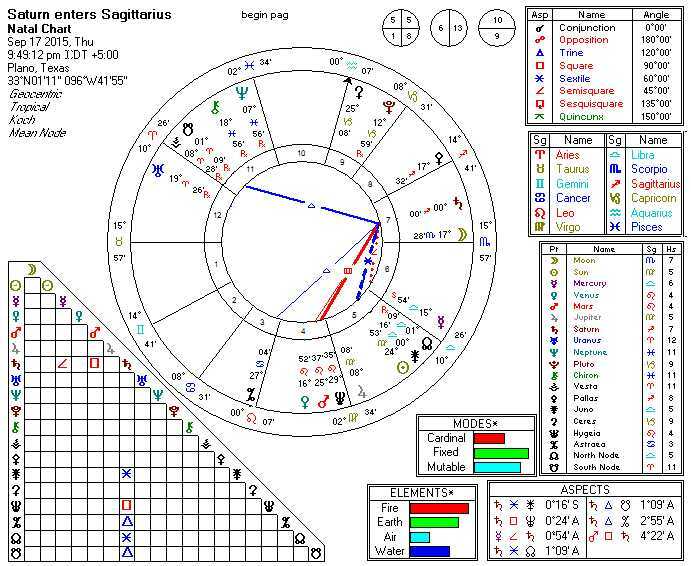 It brings us clients and website visitors who want to know “what the hell is going on in my life.” Invariably the answer is found in Saturn. On September 17th, Saturn enters Sagittarius where it will stay for a few years. Sadge natives will feel it, but so will Gemini, Virgo, and Pisces. 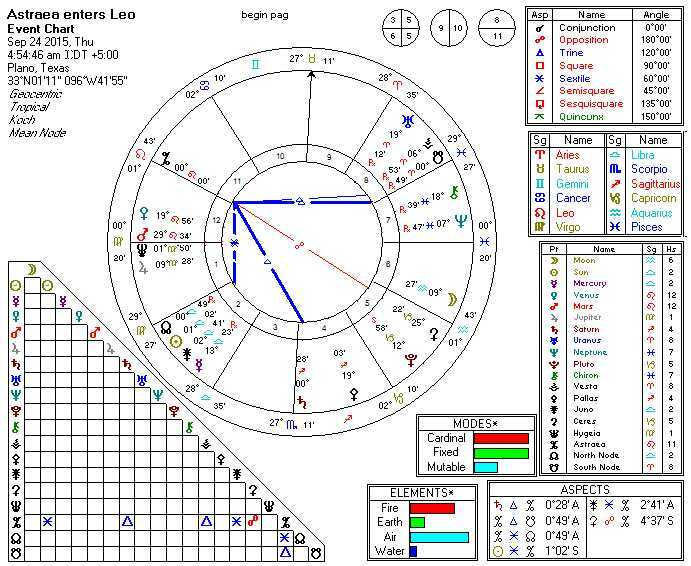 People born late in Taurus, Leo, Scorpio, and Aquarius will begin to have a sense of relief (unless they have some planet near the cusp of entry into Gemini, Virgo, Sagittarius, or Pisces). 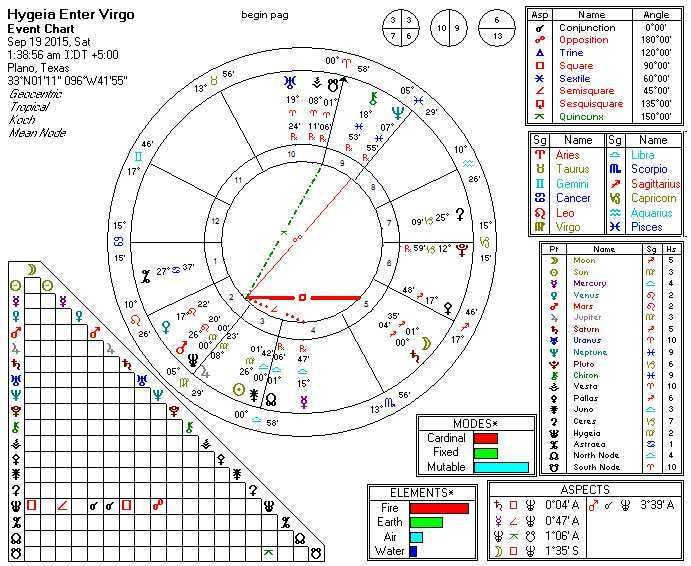 Hygeia (health, healing and healthcare professions) enters Virgo (arguably its home) on September 19th and almost immediately squares Saturn at 0 Sagittarius. Both Virgo and Sagittarians will likely “feel” this day, but so will Pisces and Gemini. This is especially true for those who birthdays (Sun or other planets) are near the “cusp” including late Leos, Scorpios, Aquarians, and Taureans. (Birthdays a few days before or after February 18th, May 21st, August 23rd, and November 22nd). Health and healthcare issues are likely to be prominent on this date, particularly for those with birthdays “near” the dates previously mentioned. We note significant 5th Harmonic activation at this time. 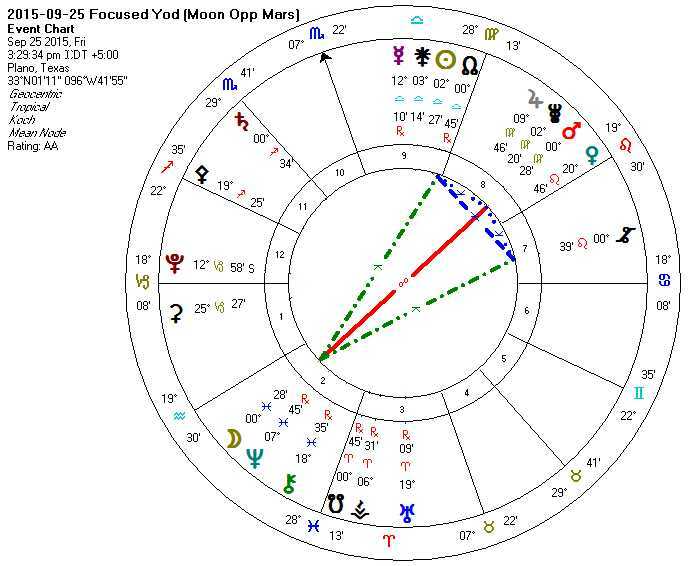 A 5th Harmonic pattern resembling a Yod is in play, and we believe that this represents an opportunity to choose between two alternative innovative solutions that present on this date. So, difficulties may present themselves, but what you might have are opportunities for innovative solutions disguised as difficulties. 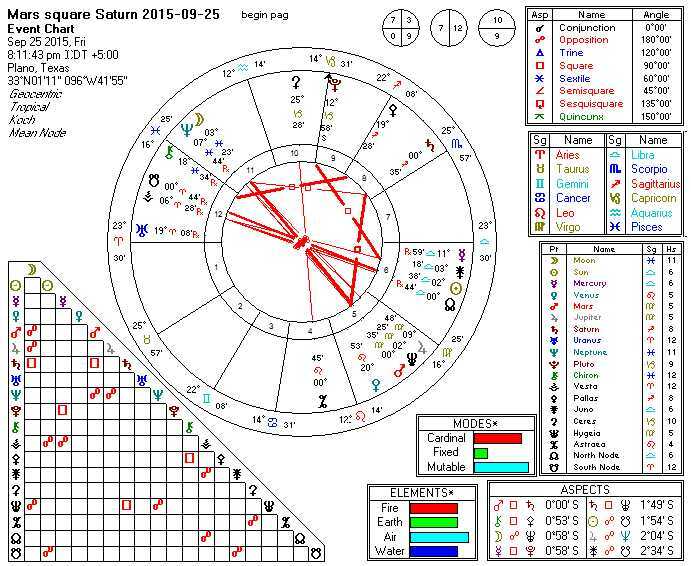 See, also: Saturn enters Sagittarius 2015-09-17.